Georg Jensen Sterling Silver Bracelet No. 15. 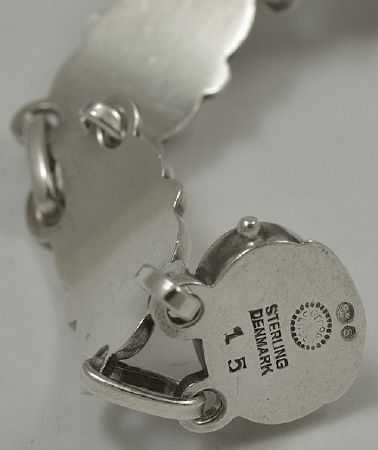 This all sterling bracelet was designed by Georg Jensen. The bracelet measures 7.25 inches long and .5 inches wide and is circa 1925-30. Bears impressed company marks for Georg Jensen, Denmark, Sterling.